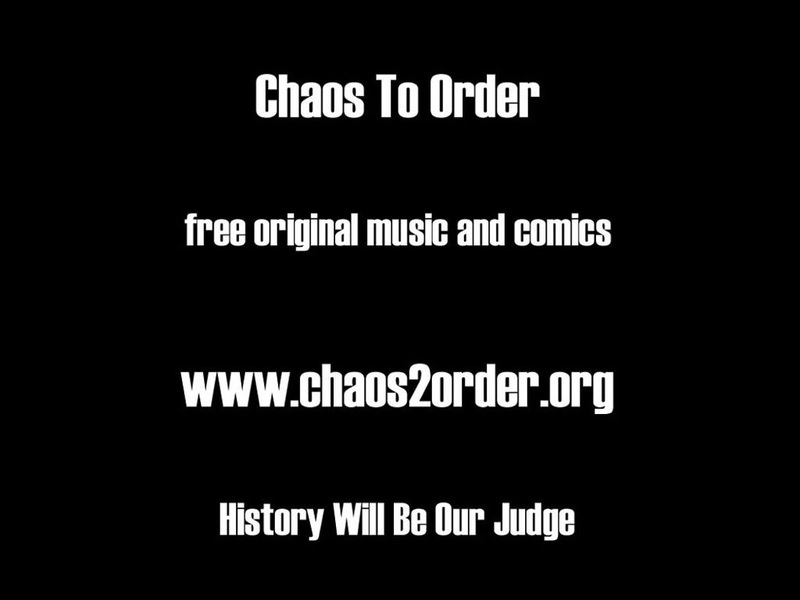 Chaos To Order is the brainchild of the world's most inept and reclusive capitalist. Flatland Central is its online base. 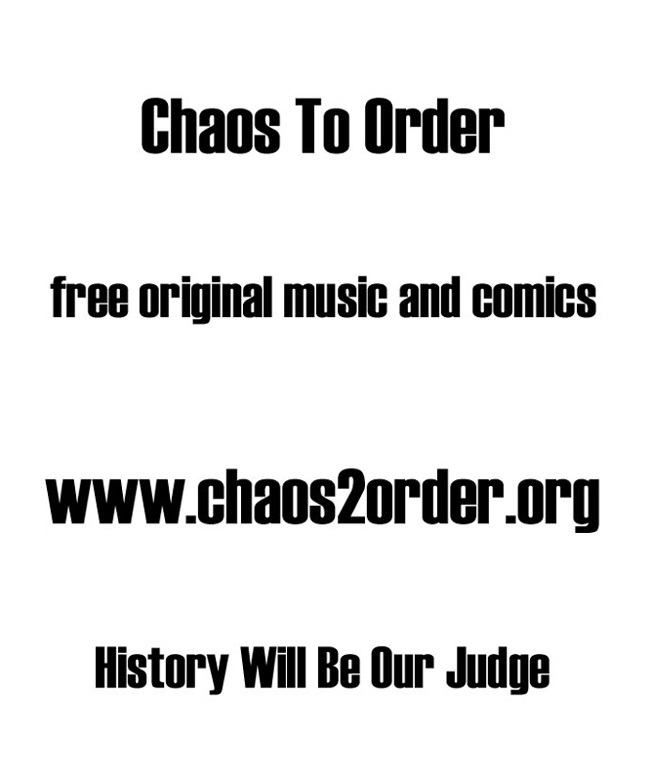 Within these pages you will find original music, cartoon strips and more besides! His Sampled Voice provides the music. Possibly the most eclectic label in the world, it brings together Rock, Dance, Electronica, Folk & Oddity from a diverse selection of currently unsigned local artists. The Visual Diversion Company presents original art, comics, words and videos from the Flatland community. Why not tell the world what you think about whatever it is you do think at our exciting new forum: Yak Yak Yak. New mobile friendly mp3 page here! Download it in MP3 from the link above! into the lives of other people with the desktop wallpaper above. Printer friendly inverse version here.